Megan's axle back exhaust system is a good and easy way to add performance and looks to your BMW E46 M3. Designed as a direct bolt-on to replace the stock unit, this axle-back system works in conjunction with the OEM Mid-Pipe and is easy to install using clamps instead of heavy flanges to reduce weight in the exhaust system and ensure proper alignment and positioning of the exhaust. 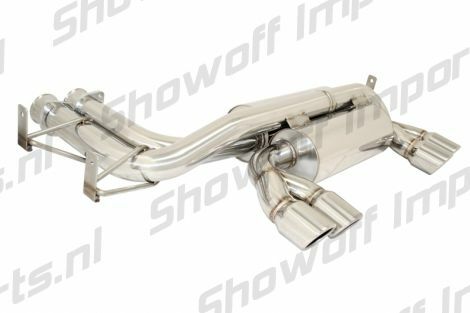 I found the BMW E46 M3 99-05 Axle Back Dual Exhaust Pol.Tip Megan Racing on ShowoffImports.nl and thought you might like it.